On May 30, 1593, London's most popular playwright was stabbed to death. The royal coroner ruled that Christopher Marlowe was killed in self-defense, but historians have long suspected otherwise, given his role as an "intelligencer" in the queen's secret service. In sixteenth-century London, Marlowe embarks on his final intelligence assignment, hoping to find the culprits behind a high-stakes smuggling scheme. In present-day New York, grad student turned private eye Kate Morgan is called in on an urgent matter. One of her firm's top clients, a London-based financier, has chanced upon a mysterious manuscript that had been buried for centuries -- one that someone is desperate to steal. What secret lurks in those yellowed ciphered pages? And how, so many years later, could it drive someone to kill? As Kate sets off for England, she received a second assignment. An enigmatic art dealer has made an eleven million-dollar purchase from an Iranian intelligence officer. Is it a black-market antiquities deal, or something far more sinister? Like Marlowe, Kate moonlights as a spy -- her P.I firm doubles as an off-the-books U.S. intelligence unit -- and she is soon caught like a pawn in a deadly international game. 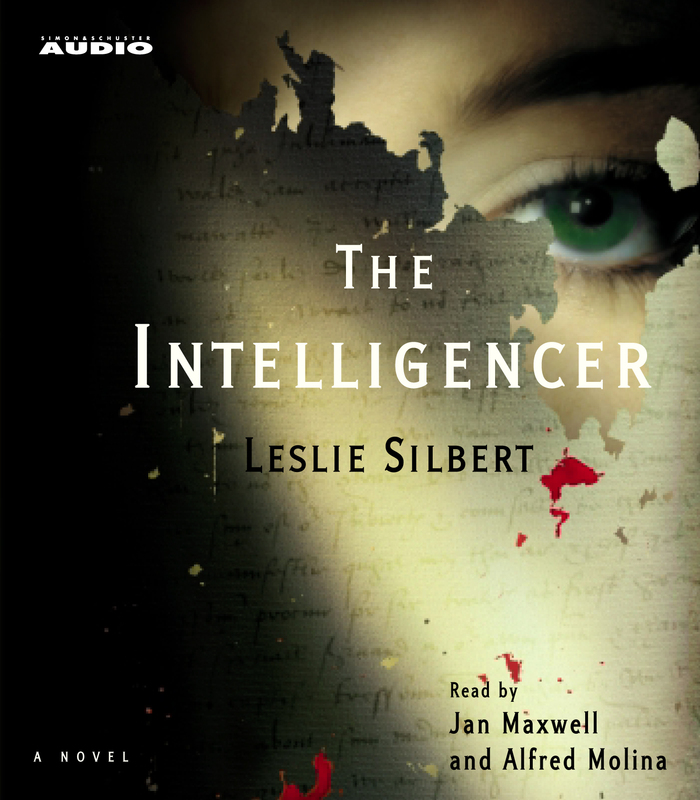 As The Intelligencer's interlocking narratives race toward a stunning collision, and Kate closes in on the truth behind Marlowe's sudden death, it becomes clear that she may have sealed a similar fate for herself. 1) The action in this novel moves rapidly between Elizabethan England and modern times, shifting centuries with each chapter. How did this atypical structure affect your reading of the story? What does the juxtaposition of two time periods offer that novels confined to one period do not? 2) Christopher Marlowe is presented as a complex man: poet, spy, patriot, friend, and enemy. And while he doesn't follow many rules, his ultimate commitment to doing what he thinks is right never wavers. This becomes clear in chapter six: "It was a delicate balance to maintain-satisfying his handlers while operating according to his own set of principles-but somehow, he was managing it." What do you think of this policy? Given that Marlowe knows his delicate balancing act is "doomed to an unpleasant end," why does he persist? Would you? 3) Kate admits that she has always admired "the Cat," the burglar who initially tried to steal the manuscript. The Cat was described as a modern-day Robin Hood, stealing from the rich and giving the proceeds to charity. Do you think Kate would ever change teams and become a thief herself? She seems to relish the thrill of thwarting the bad guys; do you see her getting involved in other, perhaps not so legal, work? Do the connections between her character and the character of Marlowe help to answer this question? 4) Talk about the way that human nature is portrayed in this novel. Does it seem to change between Marlowe's day and the modern era, or do you see certain commonalities that transcend time? To what extent do you criticize a character like Robert Cecil, a man who will do anything to further his own interests? To what extent is he a product of his environment? What about his descendant, Cidro Medina? Do you consider it more forgivable to be a villain in what some might call a more villainous age? 5) While Marlowe and Kate are parallel characters in many ways, their cultures are not so similar. In fact, some might say that more comparisons can be made between Marlowe's England and Hamid Azadi's Iran. As noted in chapter 3, beneath the glitter, Elizabethan England was an "ugly police state," a Protestant theocracy similar in ways to the Islamic theocracy of today's Iran, which also represses and tortures religious and political dissidents. Discuss these parallels. 6) While backstabbing, thievery, and deception have been the norm for spies since the first days of espionage, there are glimmers of integrity in some of The Intelligencer's most unscrupulous characters. Even Robert Poley, a man who seduces married women for sport, is often characterized in a somewhat positive light: "Betrayal might be his livelihood and greatest form of pleasure, but when it involved someone he respected, he lost interest. And beyond that, he wanted to help whoever was trapped in the tangle of government plotting." What is your impression of Poley-is he a good man, or an inherently immoral character? What about Luca de Tolomei? In many ways, his grief-induced obsession with revenge is understandable. By the end of the novel, do you think he feels satisfied, or rather, avenged? Did you still consider him a villain? Do you see similarities between his character and that of Robert Poley? 7) By chapter 24, it is clear that both of Marlowe's employers are trying to bring about his doom. It's a different story for Kate. There's no question that her boss, Jeremy Slade, values her and wants to protect her. Do you think this is a reflection of certain differences between the intelligence services in Marlowe's day versus those today? Also, while the actions of Marlowe's bosses are clearly unforgivable, what about the lies that Jeremy Slade told Kate? Do you think Kate will forgive him in Silbert's next novel? What about her father, Don Morgan? Now that Kate has had her absolute trust in her boss shattered, do you think she'll keep working for the Slade Group?Do you think she'll take on Marlowe's policy of lying to his superiors and carrying out assignments how he sees fit? 8) Late in the novel, as Thomas Phelippes attempts to break into Essex's bedroom, we learn that, "He liked to surprise people now and then because you didn't really know someone if you only saw them the way they wanted to be seen." In what ways might Phelippes' secret habit inform a discussion on the nature of truth? Is it possible to ever truly know someone you've never caught in a private moment? Silbert shifts points of view frequently in this novel, allowing us to get to know most of the main characters and see the action and meet others through their eyes. Did you like this narrative structure? What do you see as its advantages and disadvantages when it comes to novels of suspense? Do you think it allows you to more fully "know" the characters, than does a novel told entirely from the first person perspective? 9) Kate told Medina that while in school, she studied the pursuit of secrets and forbidden knowledge in the Renaissance, focusing on the question: What type of knowledge was the most dangerous to pursue back then and why? Reflecting back upon the story, and Kate's discussion with Medina from chapter 17 in particular, what would you say was the most highly protected secret knowledge in Marlowe's day and what is it now? Who pursues it and who is the most threatened by its exposure? What is at stake for the pursuer, the government, and the culture if it is obtained and revealed? 10) Do you think it significant that the object that sets the modern-day adventure in motion is nothing more than an old manuscript? In chapter 7, as Kate and Max consider who might be trying to steal it, they discuss secrets with the power to transcend time. Kate speculates that the manuscript might contain evidence invalidating someone's claim to a valuable estate, while Max wonders if the secret in the manuscript is something that a government or church wishes to cover up. Were you surprised to learn what Jade Dragon was really after? In real life, do you believe there are secrets having nothing to do with the prospect of financial gain, for which people would kill, to keep quiet? Leslie Silbert graduated from Harvard with a bachelor's and master's degree in the History of Science and studied Renaissance literature at Oxford. She works as a private investigator in New York City under the guidance of a former CIA officer and is currently writing her second Kate Morgan novel. For more information, please visit www.lesliesilbert.com.